A Julien white Farmhouse sink with Rohl polished chrome faucet and fixtures completes the period style details. The island has a Sea Pearl green quartzite countertop and ample storage. 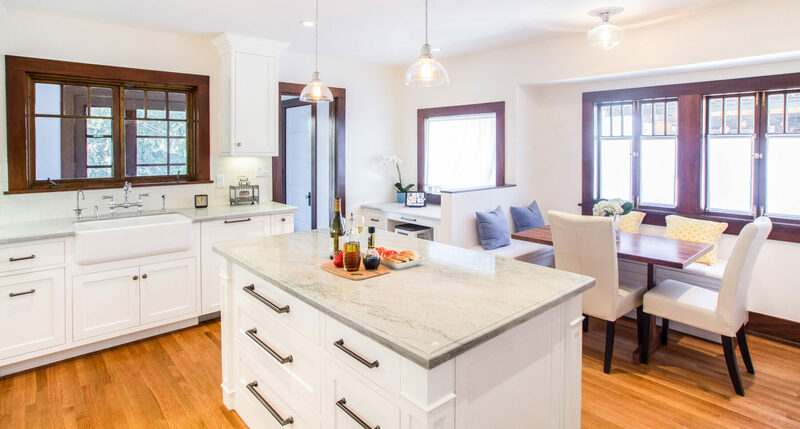 A 1910 Craftsman kitchen remodel with amenities for today’s lifestyleA 1910 Craftsman home kitchen remodel with period style fixtures.